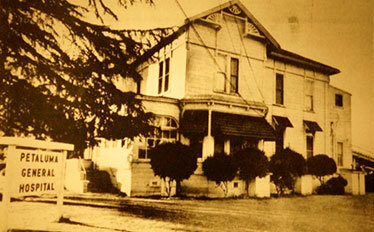 Throughout its 70-year history, PHCD has owned and operated Petaluma General Hospital, Hillcrest Hospital, and its current facility Petaluma Valley Hospital (PVH). PVH offers residents access to 24-hour emergency care, critical care, medical and surgical services, outpatient surgical services, a birthing center, respiratory therapy and occupational/physical therapy services, laboratory and radiology services, and pulmonary rehabilitation services. PVH Emergency Department treats more than 18,000 patients annually. 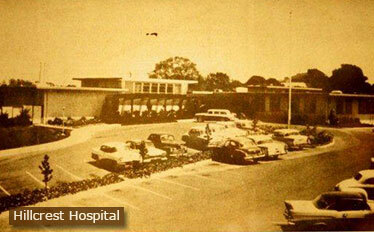 In 1997, PHCD entered into a 20-year lease with St. Joseph Health to operate PVH. PHCD understood that linking its small community-based hospital to the robust health care network of St. Joseph Health would provide greater stability in ensuring quality health care delivery. As part of its lease structure, the District actively supports the hospital’s advancements, pledges to maintain its core services that correlate with community needs, and supports physician recruitment and retention to ensure and improve the quality of and access to local health care. PVH is recognized for achieving high quality patient care outcomes. 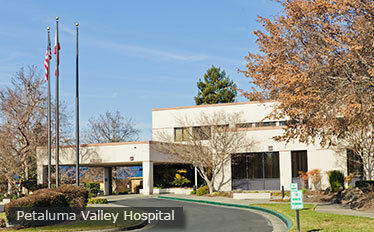 In 2011, PVH was the only hospital in the North Bay area to be named one of the United States’ top performers on key clinical quality measures by the Joint Commission, the nation’s leading accreditor of health care organizations. In 2017 PVH received an “A” grade from the Leapfrog Group, a nonprofit dedicated to collecting and analyzing hospital safety data. This top ranking recognizes the hospitals commitment to safety standards. PVH is a certified Baby Friendly hospital, recognizing their commitment to supporting mothers and babies in breastfeeding success, and became the first hospital in California to earn Advance Disease-Specific Care Certification for Acute Stroke Ready Hospital from the Joint Commission and the American Heart Association /American Stroke Association. To learn more about PVH and its services please visit its website. PHCD has been working through a due-diligence initiative to identify viable options for the continued operation of PVH after the lease with St. Joseph Health expired in 2017. The process included a thorough evaluation of the following: current and future health care needs in our community; hospital operations and finances; current health care landscape locally, regionally and statewide; future trends in health care delivery; and future partnerships. After extensive community engagement and stakeholder interviews, PVH pursued a RFP process that garnered four respondents, including current operator St. Joseph Health. To review the RFP, click here. After careful evaluation and goodwill, PHCD focused its efforts on renewing with St. Joseph Health and entered into negotiations. However, St. Joseph Health ended discussions in Oct. 2016 due to an inability to reach an agreement on three material terms: (1) fair market value rent and lease payment financial structure; (2) a non-compete that would protect the vitality of the hospital; and (3) St. Joseph Health’s inability to find an acceptable solution for providing family birthing center and women’s health services. PHCD opened a second RFP process in Nov. 2016 and selected Paladin Healthcare as the recommended operator of PVH under a long-term lease agreement. Due to complexities around the hospital’s Electronic Medical Record (EMR) system, Paladin proposed a management agreement rather than a lease agreement, which the District could not accept due to the financial resources required for such an arrangement. SJH informed PHCD in spring 2018 that they were creating a joint operating company with Adventist Health that would offer an acceptable solution for providing family birthing center and women’s health services at PVH. The joint operating company (NewCo) is currently under regulatory review. PHCD and SJH have re-engaged in discussions. It is the hope of both parties that NewCo will be approved by the Attorney General and a long term lease agreement to operate PVH will be reached. SJH is continuing to operate PVH while Newco is being approved. To stay informed on the status of this process, please visit our webpage dedicated to keeping our community updated on the process and listing ways to engage and receive updates on a routine basis.